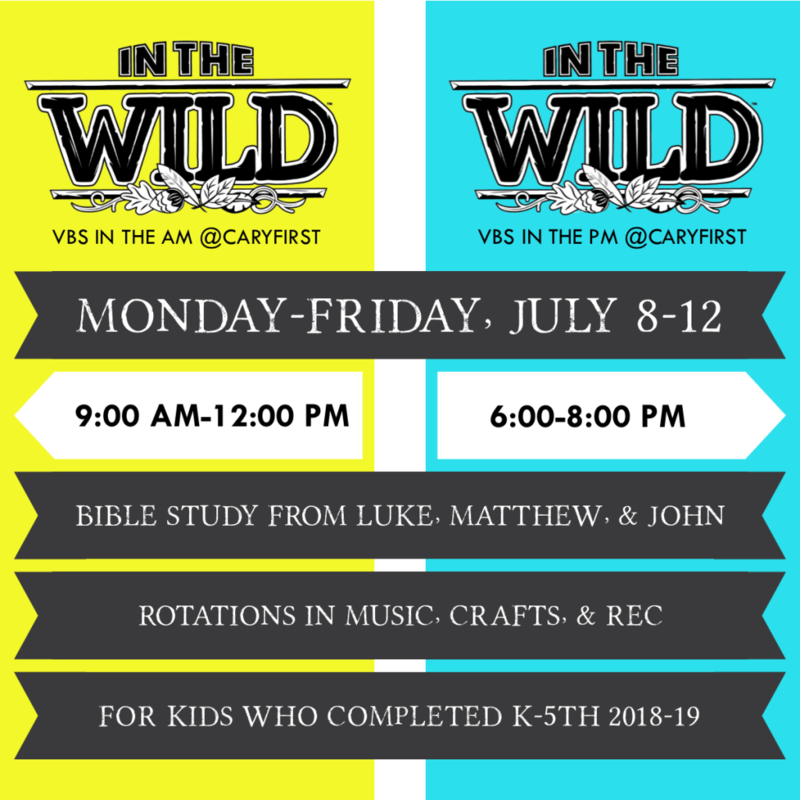 This year during Cary First’s VBS, kids will focus on some amazing, real-life encounters with Jesus. Each encounter is like a snapshot – a specific moment in time captured on the pages of Scripture. And when put together, these isolated encounters reveal the most amazing truth of all – Jesus Christ is the Messiah, the Son of God, and by believing we can have life in His name. Register by May 1 and receive a FREE VBS t-shirt! If you are interested in volunteering at VBS in the Morning, click here. If you are interested in volunteering at VBS in the Evening, click here. All volunteers in grades 6-12 must download this volunteer application (DO NOT REGISTER WITH ANY OF THE LINKS ABOVE).